I love quail eggs for their diminutive size, their speckled shells, their pale aqua blue inner shell. When poached quail eggs are a perfect bite of protein. They are the perfect Lean Luxury as they feel decadent and special – like a little easter egg without the chocolate indulgence. Are you still getting used to the loss of an hour last weekend? 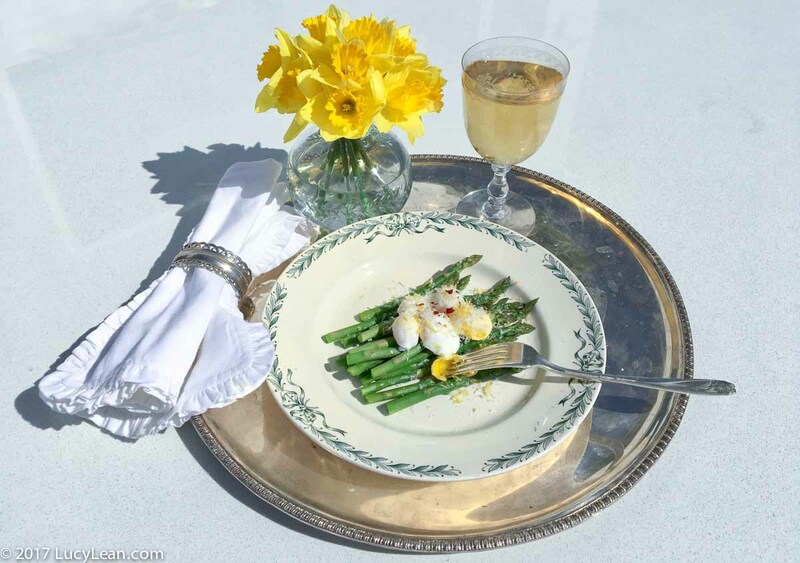 Think of this as food to cure that mini jet-lag – it’s Spring Forward Luxury. The best way to crack the eggs is to use a serrated knife and gently saw off the top – this avoids breaking the yolk as it sits in the bottom of the egg. Remove any tiny pieces of egg shell from the egg yolks. It’s easy to cook up a batch – and yes the point with such a tiny egg is to cook a few at the same time. 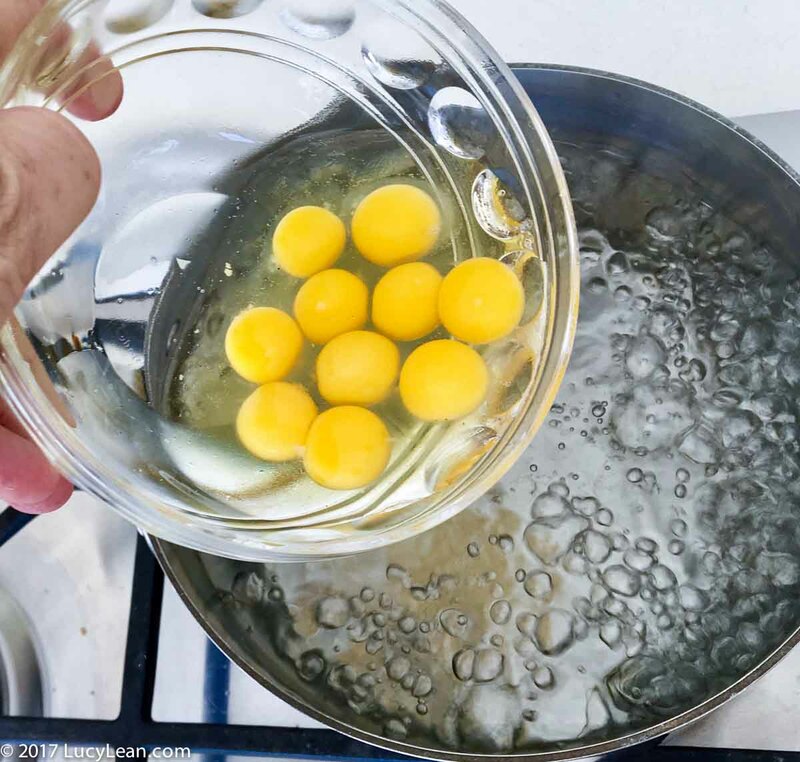 It’s super easy to poach a box of 10 eggs – very carefully remove half after 30 seconds and plunge into ice water bath. 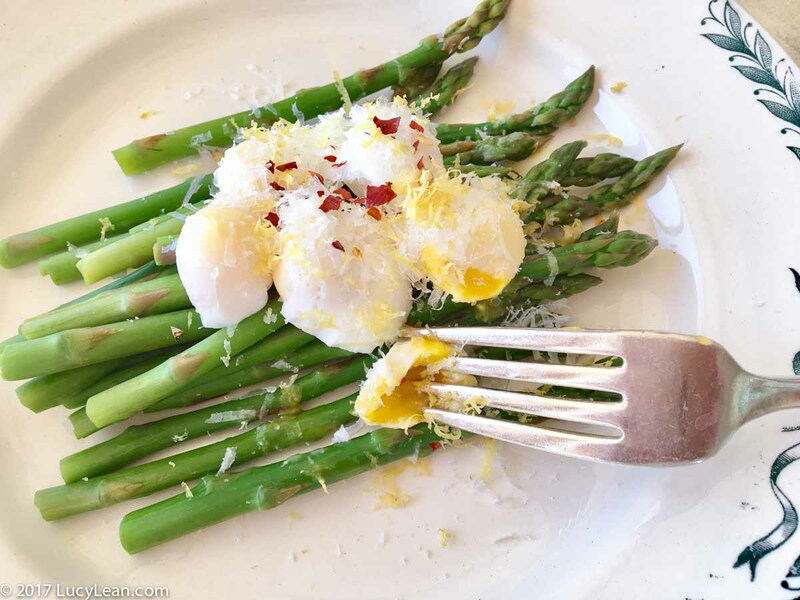 The yolks will still be soft, perfect for eating on top of asparagus or over a salad. Then remove the remaining 6 after a minute for harder eggs that you can keep in the fridge for a snack at a later time. 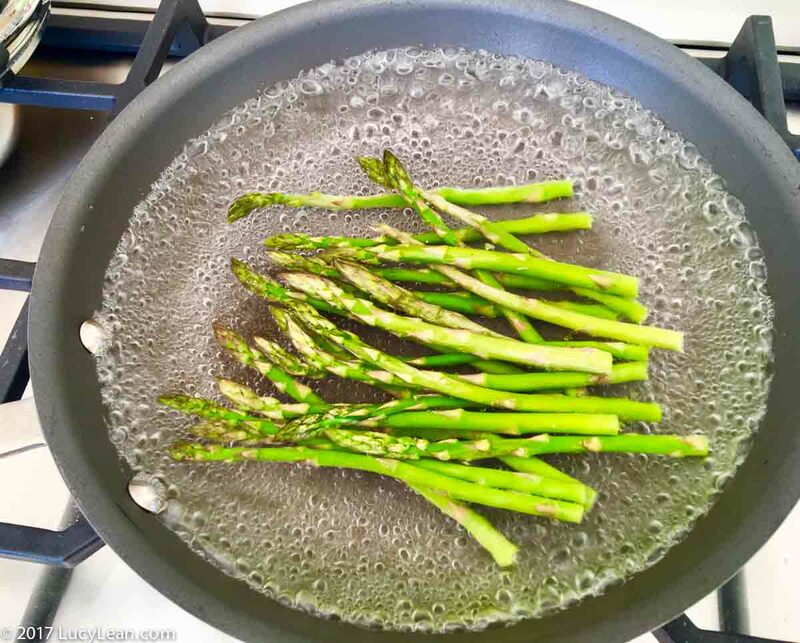 First cook the asparagus for 1 – 2 minutes in boiling water in a saucepan. 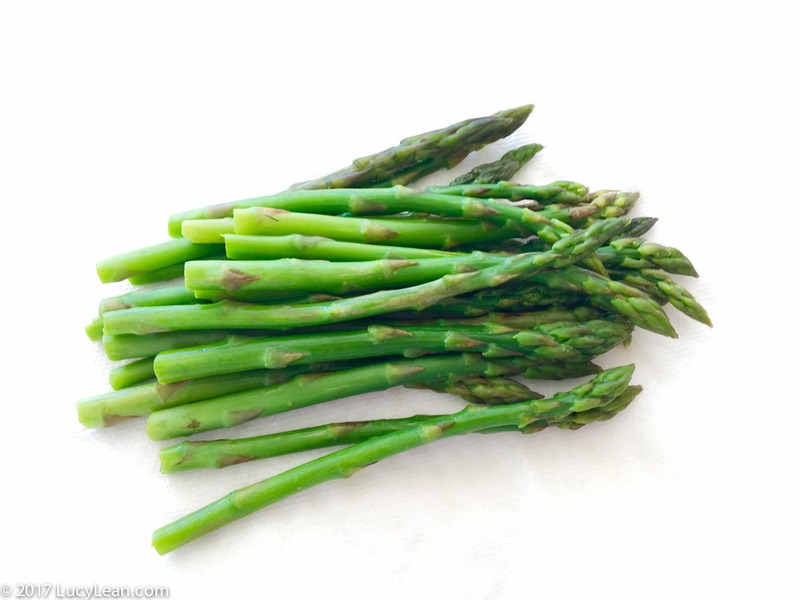 Remove the asparagus from the boiling water and plunge into an ice bath. 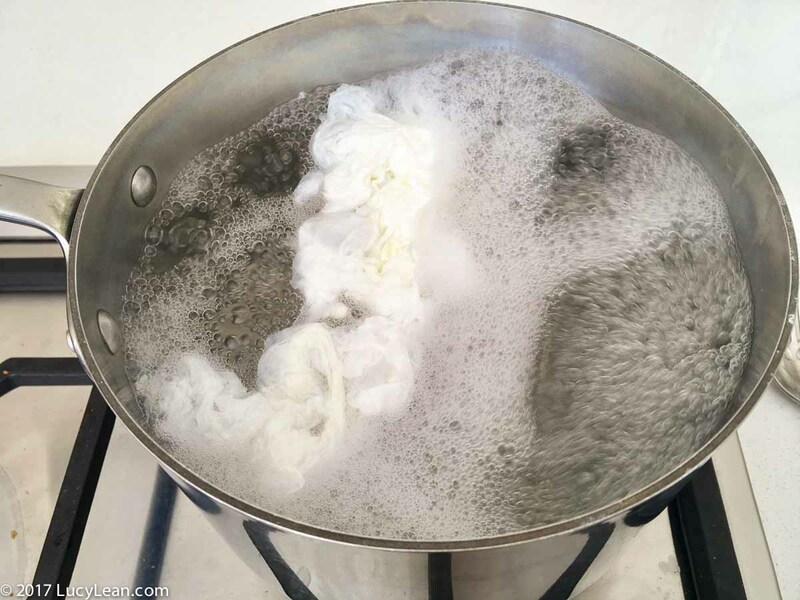 Dry on paper towels and arrange on a plate. Drizzle olive oil on top and a squeeze of fresh lemon juice and set aside whilst you cook the quail eggs. 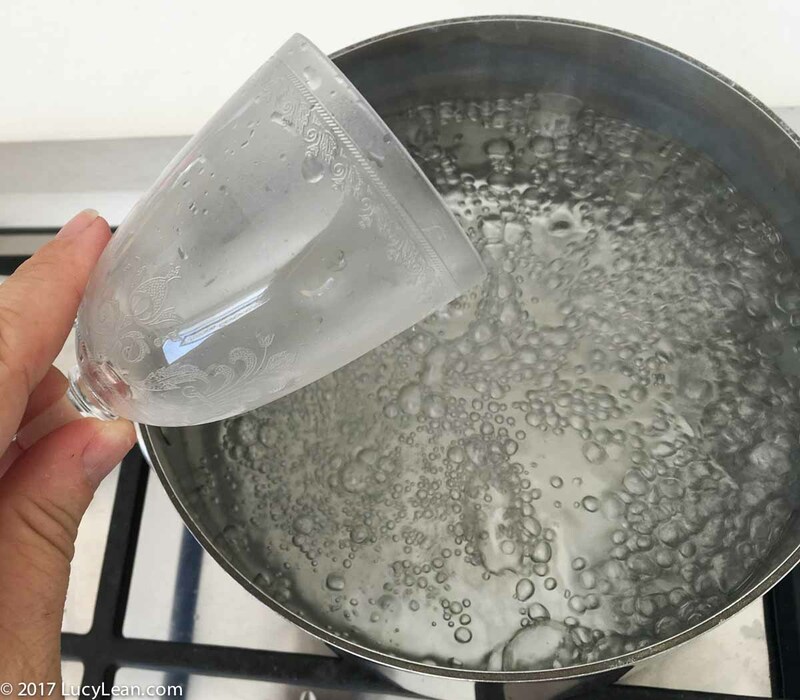 Bring a saucepan of water to a rolling boil – add 1/4 cup white vinegar – DO NOT ADD SALT. Keep the water on high heat, swirl with a spoon and then add the eggs. Do not touch the eggs for 30 seconds. Remove half of the eggs if you like soft poached eggs and cook the other half for 30 seconds more for a slightly harder yolk. 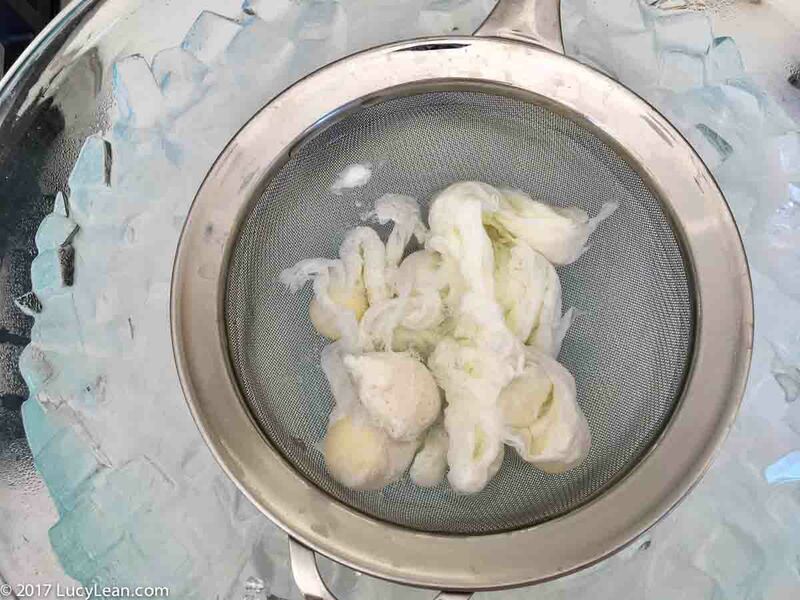 As soon as you removed the eggs place them in an ice bath to stop the cooking process. 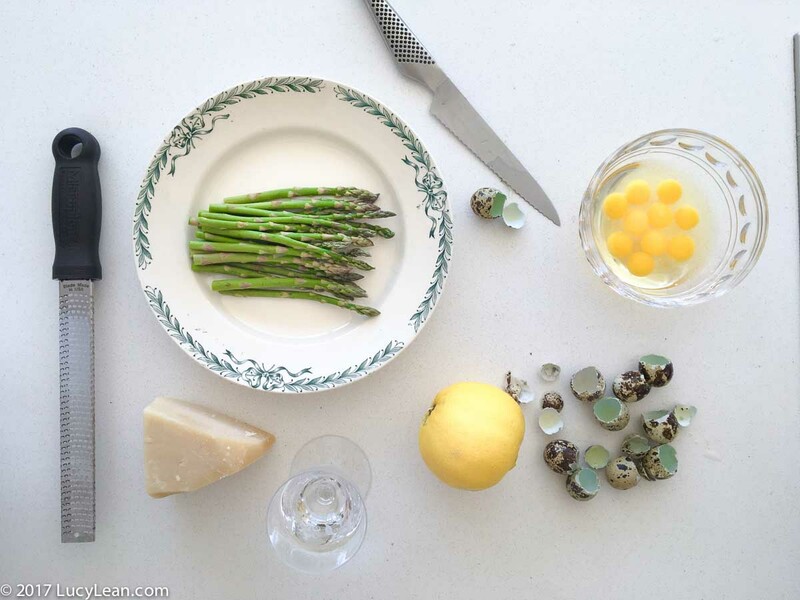 Using scissors or a paring knife you can trim each little egg. 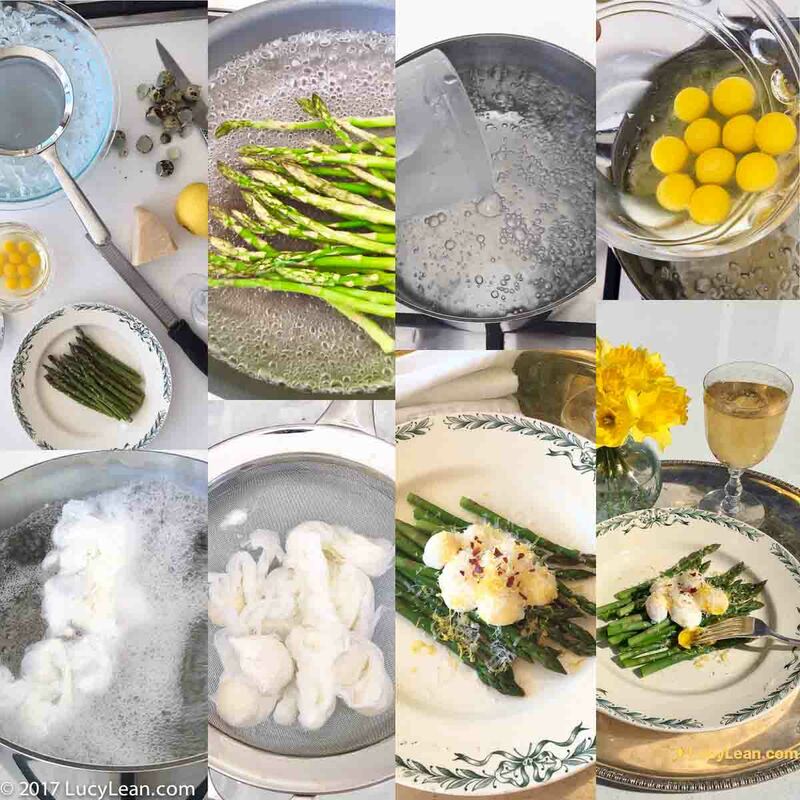 Arrange on top of the asparagus and grate Parmesan snow on top. Add a pinch of red chili flakes and zest of lemon. 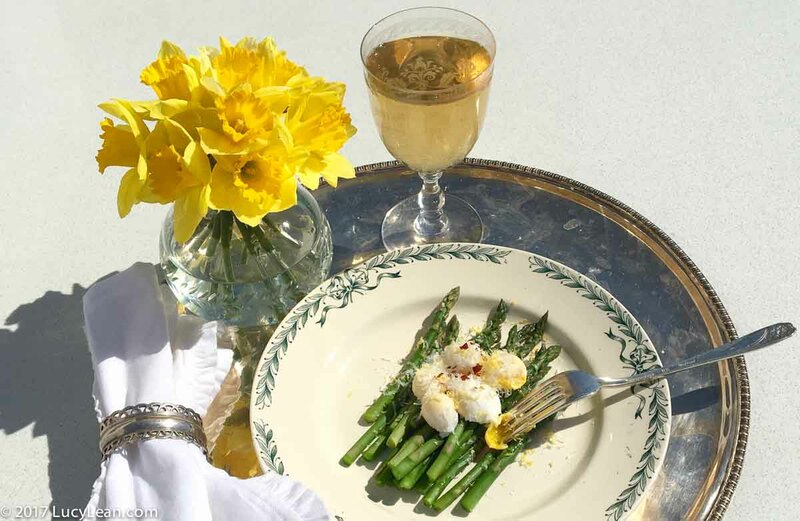 Arrange your breakfast tray fit for a Lady with flowers – I love the bright yellow sunny daffodils at this time of the year – and enjoy with some iced tea. this makes the perfect spring breakfast – great for a small gathering, perhaps for an Easter brunch. 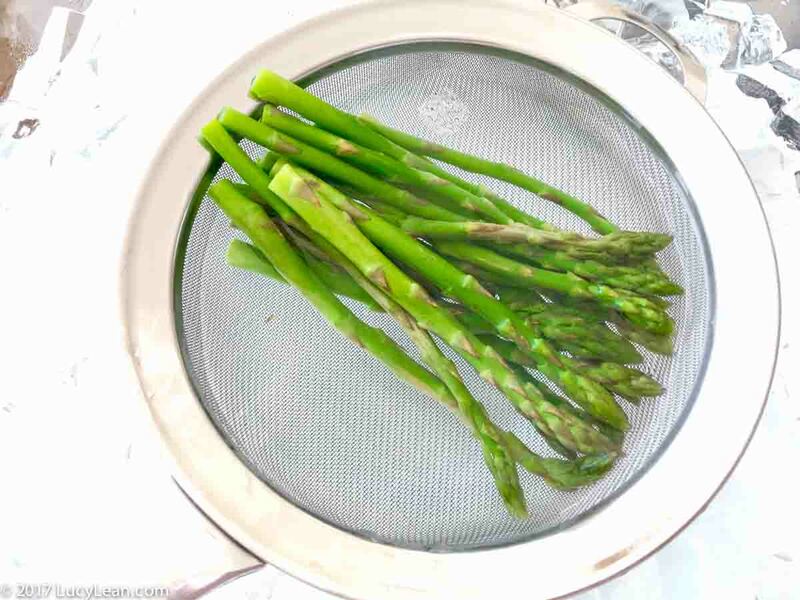 It also works as a Lean Luxury Luncheon or even a dinner – there are no rules when it comes to delicious fresh produce that’s barely cooked to bring out the best.